A roti where two layers are rolled out together and cooked on the tawah. It is rubbed with oil while cooking. 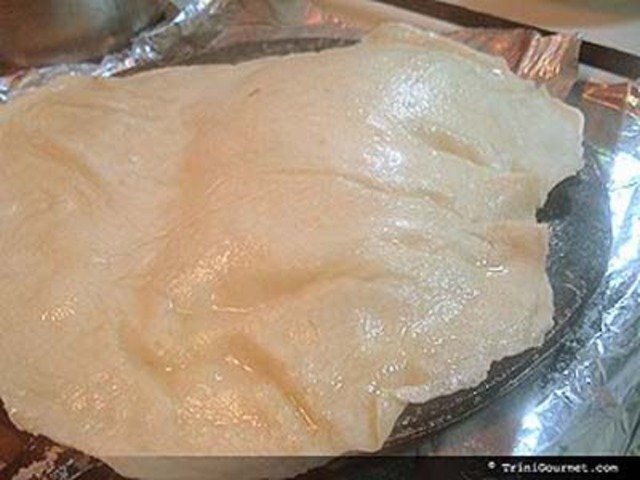 The layers are then separated making two thin rotis. This can be done with more layers. I saw Indian people making it.